Steven Gerrard – always working! Former Reds winger Jermaine Pennant has explained how our former captain once set the wheels in motion of his Liverpool transfer during a game against Birmingham. At the time, Pennant’s stock was high and he’d impressed for the Blues, despite their relegation in 2006, transferring to Liverpool under Rafa Benitez that summer. “Is it true Steven Gerrard tapped you up to sign for Liverpool while you were playing in a game against him?” he was asked by FourFourTwo. “Yes, that’s absolutely true,” Jermaine said. “I was playing for Birmingham against Liverpool at St Andrew’s and Gerrard said to me, “Who is your agent?” while the game was going on. 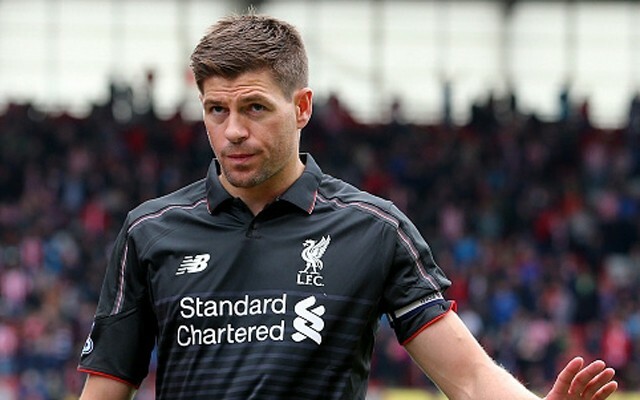 Gerrard has explained on multiple occasions, including in his book, how he was often asked by the club to help persuade potential signings to join – admitting that on many occasion he actually found it quite embarrassing. Stevie was always most comfortable on the pitch, so what better place?! The winger did ok with us for periods, but was never a consistent presence and ended up being released on a free to Real Zaragoza in Spain. His career deteriorated from here on in, eventually ending up at non-league Billericay Town, where he last turned out in 2017.